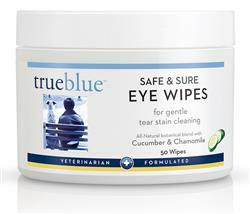 SAVE 15% on your first order of TrueBlue ! Orders ship via UPS within 2 business days. We charge you just our actual UPS cost ... no mark up and no processing fee. Please do not list our products on 3rd party websites (Amazon, eBay or other auction sites). 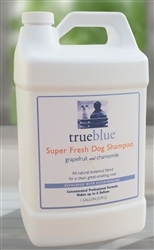 We’re pet lovers here at TrueBlue—and we’re dedicated to combining Nature and Science to develop products that make our best friends as happy and healthy as they deserve to be! Wellness is as important to a rich, full life for pets as it is for the human member of our families. TrueBlue products offer easy-to-use yet super-effective pet care solutions that promote optimal pet health. We believe that Wellness starts preventative health maintenance. 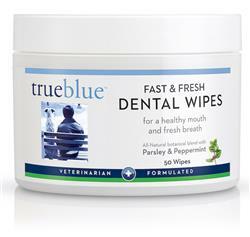 Regular use of TrueBlue products can help guard against some of the most common ailments of the skin, teeth, and ears. And that means not only happier pets, but also fewer costly trips to the Vet!Our products feature the purest botanical ingredients and fresh natural scents in formulas that deliver real results. We worked with top Vets at a leading University to select the best pet-friendly ingredients… for products that are both safe and effective.